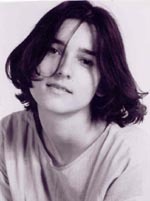 Branka Bradić obtained her B.A. from the Faculty of Applied Arts, Graphics Department, Belgrade, Yugoslavia (with honours) and furthered her education, with an M.A. from the University of Art in Belgrade (with honours).Branka has been an art instructor for the past 14 years, including over ten years at Klim School of Arts, Canada, and has taught in private schools as well as with the North York Board of Parks and Recreation. As a professional artist and illustrator, with illustrations in 11 published books, Branka has won numerous awards in graphics and print making on juried panels.